It has been a memorable year for the young actor, Dafhyd Flynn. An IFTA Leading Actor & Rising Star nominee earlier this year, Dafhyd made his acting debut in Frank Berry’s first feature film ‘I Use To Live Here’. Since then, Flynn has shot to prominence following his second big screen performance in Berry’s tense new drama, ‘Michael Inside’, which opens this Friday. 1. What are the best and worst aspects of your work? 2. What career do you think you would have if you weren’t in the film/tv industry, and why? 5. What are you most excited about for 2018? 6. Who has really impressed you in the last 12 months in the Irish industry? Written and directed by Frank Berry, ‘Michael Inside’ stars Dafhyd Flynn, Moe Dunford and Lalor Roddy and tells the story of Michael McCrea, an impressionable 18-year-old living with his grandfather Francis in a Dublin housing estate, who gets caught holding a bag of drugs for his friend’s older brother and is sentenced to three months in prison. It premiered at the Galway Film Fleadh last summer where it won Best Irish Film and Dafhyd picked up the Bingham Ray New Talent Award. Since then it’s been wowing audiences and critics alike. It picked up the Audience Award at the Cork International Film Festival in November; the Best Film Award at the IFTA’s in February and has garnered numerous five-star reviews. 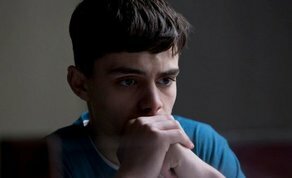 Wildcard Distribution will be releasing Michael Inside in Irish cinemas on Friday 6th April 2018.